The Apartment was in an ideal location and had everything we needed and was spotlessly clean, would stay again. Great price. Great location. Friendly and helpful staff there when we arrived. All equipment we could have possibly needed for self-catering was provided. Fabulous location, so close to everything, wonderful view from apartment. Apartment was excellent on every level, kitchen facilities very good. Lots of room, very clean and well looked after. I will book again. Fantastic. My best trip to Portugal. Great view . TV channels great. Airconditioning was very efficient. Compfey beds. The accommodation was spotless and a decent size. We had studio no 5. The kitchen area was compact. It had a fridge, kettle, toaster & microwave. There was enough utensils etc to make a meal if you wanted to. The view was amazing, infact the apartments are in the ideal location. Emilia the housekeeper is a lovely Spanish lady and let us leave our luggage after checkout until we were picked up to go to the airport. Communication from Carlos the owner was also good. We will definitely stay there again. The most amazing view from the balcony. We had sunshine from late morning until the sun set directly opposite the balcony. There are some good bars and restaurants within a stone's throw and it is only a 5 minute walk from the old town. The room itself had everything we needed - comfortable beds (twin beds) great shower, little kichenette, tv with lots of channels and air conditioning / heating. It is a basic studio / room with a very small kitchen area but was suitable for us for a few days. 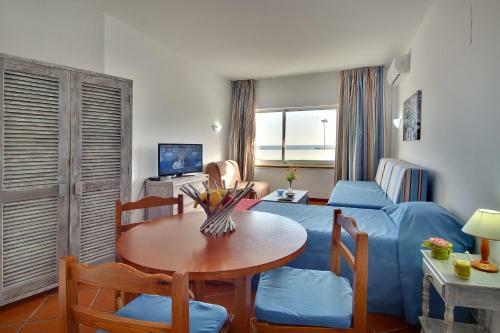 Lock in a great price for Apartamentos Pescadores - rated 8.9 by recent guests. One of our bestsellers in Albufeira! 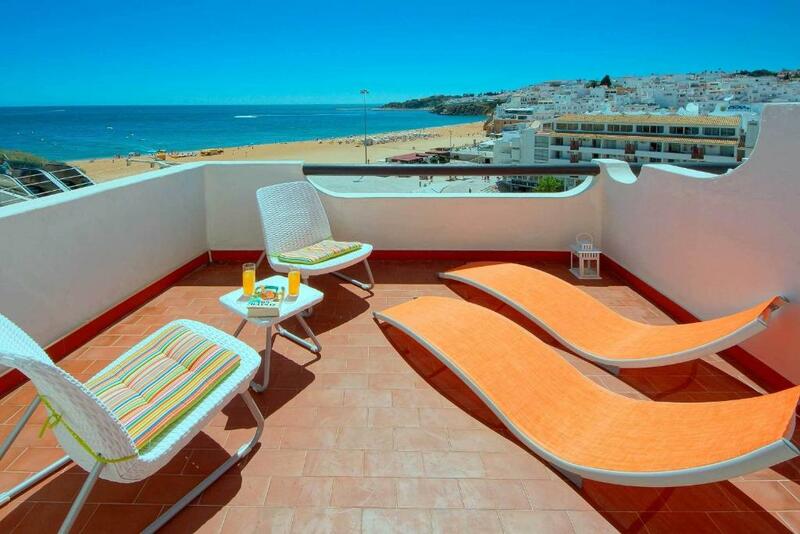 Apartamentos Pescadores is located in Albufeira. The lively Old Town area is 450 yards away. 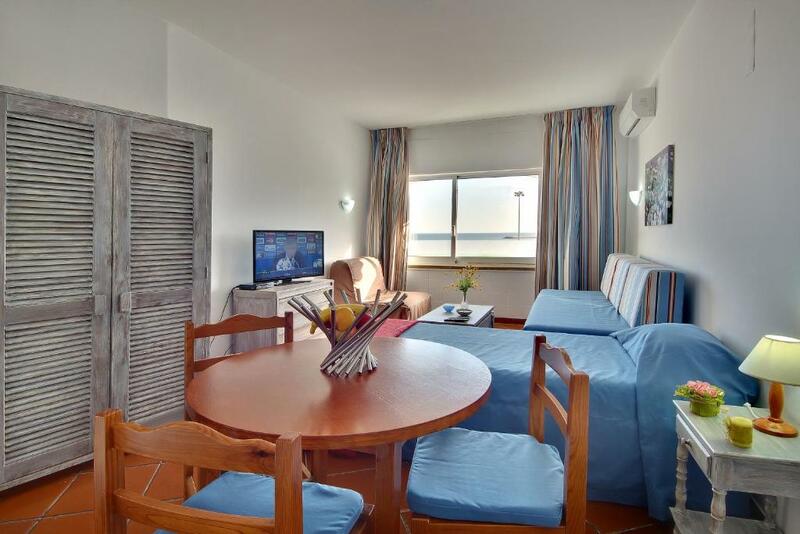 Each studio and apartment has a satellite TV, air conditioning and a seating area. There is a full kitchenette and sea views. Free WiFi access is available. Guests are welcome to cook their own meals in the kitchenette. Local restaurants are accessible within a 10-minute walk. 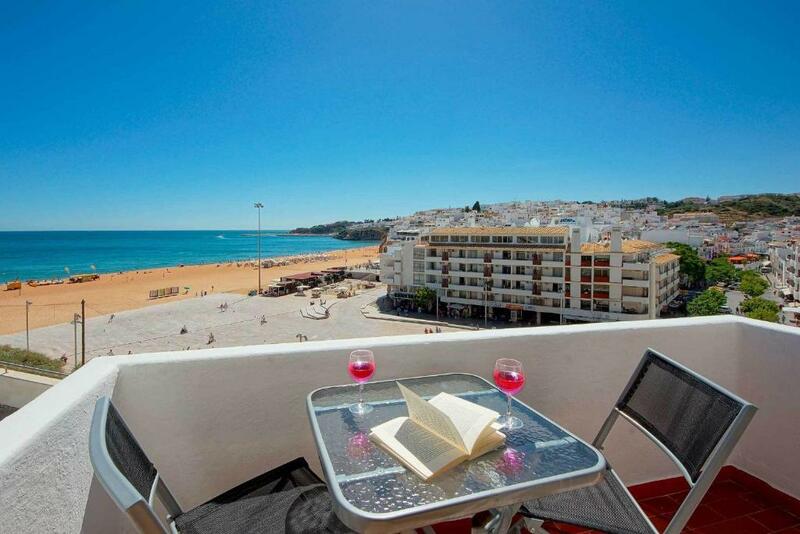 The guest house is 200 yards from Fisherman's Beach, 450 yards from Old Town Square and 1 miles from Albufeira Marina. Faro Airport is 23 miles away. 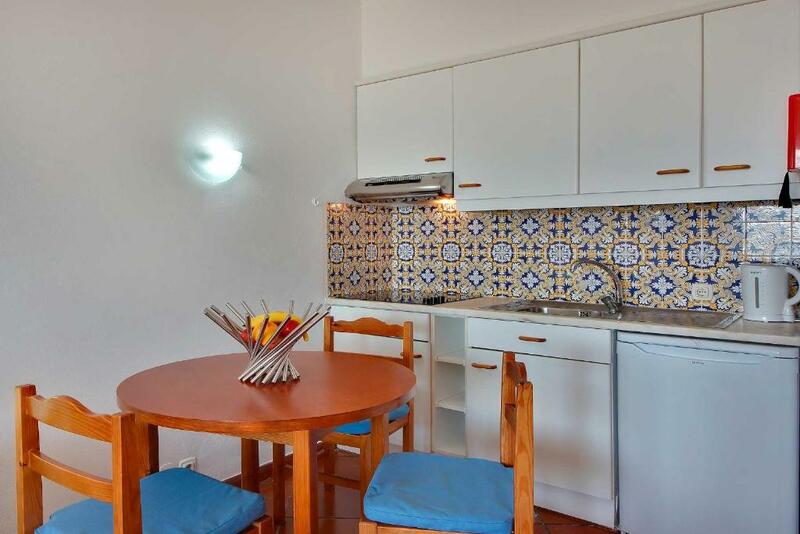 Apartamentos Pescadores has been welcoming Booking.com guests since 12 Jun 2014. 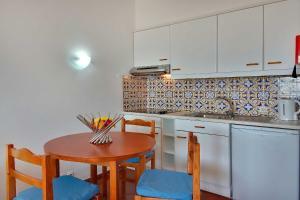 When would you like to stay at Apartamentos Pescadores? This unit includes a dining area and offers sea view. Please note that this studio does not have a balcony since it is located on the ground floor. This apartment has a balcony and private entrance. This apartment features a balcony and a terrace. This studio features a sea view and a balcony. 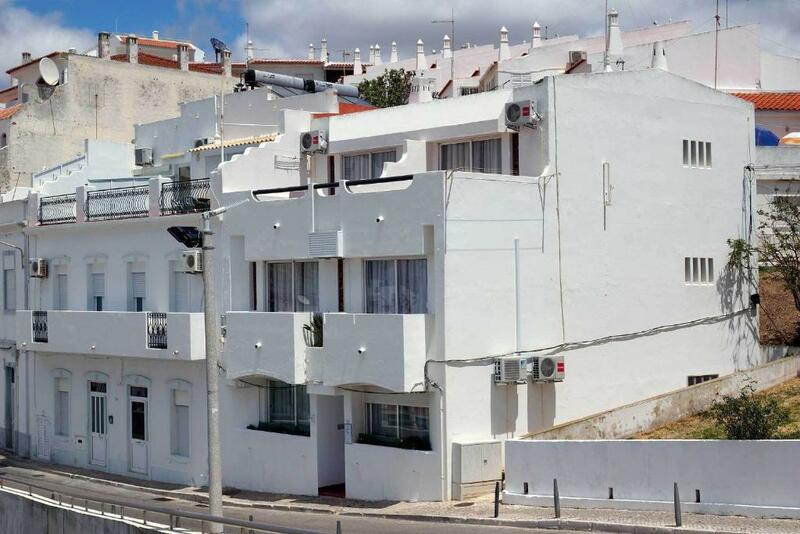 Os Apartamentos Pescadores é um alojamento local constituído por 6 apartamentos, 4 Estúdios e 2 T1. 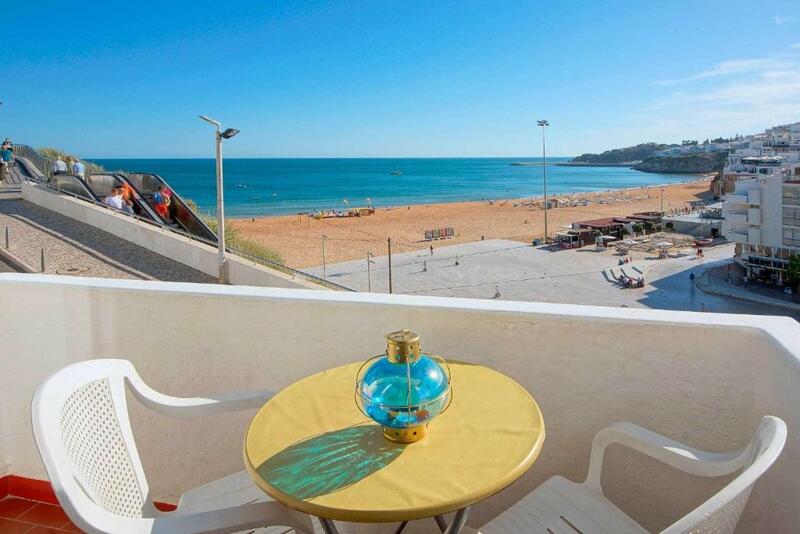 Todos os apartamentos oferecem vista mar, com acesso à praia dos Pescadores e parte velha da cidade de Albufeira em poucos minutos. A Praia dos Pescadores e a zona antiga de Albufeira são das mais procuradas e solicitadas para férias. House rules Apartamentos Pescadores takes special requests - add in the next step! Please note that a security deposit for groups of EUR 50 per person will be charged at check-in. This amount will be refunded at check-out if no damages are made to the apartment. Please note that that bed linen is changed once per week and towels are changed twice per week. Please inform Apartamentos Pescadores in advance of your expected arrival time. You can use the Special Requests box when booking, or contact the property directly with the contact details provided in your confirmation. I can really recommend this modest little place, it is in a great location , has fab views and is VFM. I stayed in room 6 (1 bed top floor flat) which has a good size suntrap terrace with panoramic views of the beach along the bay and the whitewashed houses of the old town. Although the flat is a little dated it is well equipped ,comfortable and spotlessly clean. The compact flat was light and airy and has 2 single beds and a sofa bed. There is a very good flat screen TV and good WIFI connections. Please note :-I am 63 and wear a leg brace and at first found the stairs a bit of a struggle but the location and the view from the room at the top made the effort all worthwhile. The kindly owner Mrs Emillia (who speaks a little english) helped me with my luggage. I had a quiet relaxing time but this is an old house and it is important guests respect the noise and security rules. Location wise it is ideal. It is across the road from the 2 escalators that take you down to the pristine beach and old town bars, restaurants, ATM, Tourist info and supermarket. 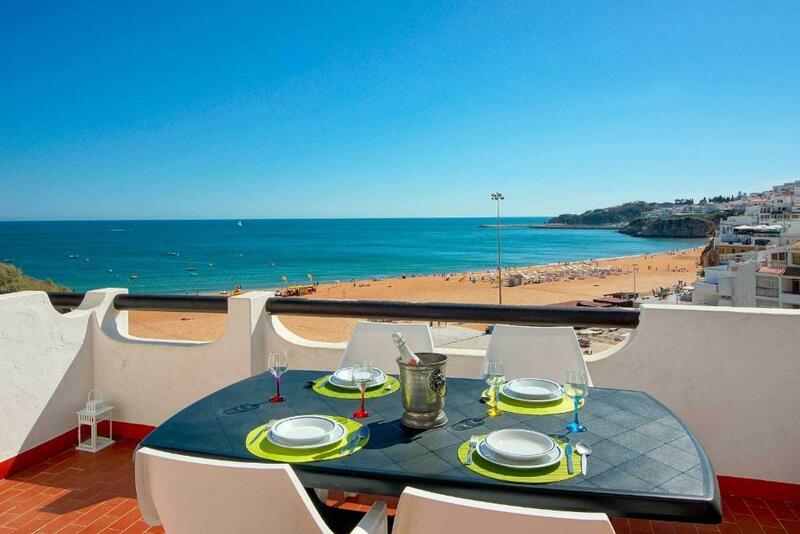 It is also a few steps away from the promenade (plenty of seats to admire the sea view). The new town, with lots of shops, bars, restaurants,supermarket is a short 10 minute walk uphill. Transport:- spoilt for choice:- the bus stop is around the corner -local GIRO buses (to bus station 1.6km away and around the town 1.4euros single), city hop/on buses red and blue routes to Villamore (20 euros for 2 day pass),tuck-tucks and taxis (35 euros to airport, airport shuttle Faro airport to Albufeira 14 euros). TIP try a day trip to Silves and castle. GIRO bus to bus station 2.8euros return. and then EVA bus to Silves (45 minutes) 9 euros return. Good day out in this charming town. For times check website. There was nothing negative apart from the beds being a bit too hard. Great location, excellent view from balcony, clean, very friendly staff. Couldn’t fault the property.